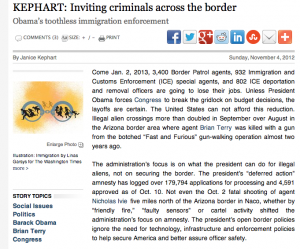 Congressional gridlock could mean massive layoffs for Border Patrol and ICE agents and officers on Jan. 2, even as illegal crossings continue to increase, the Washington Times reports in a decidedly anti-Obama column. At risk are the jobs of 3,400 Border Patrol agents, 932 ICE agents and 802 ICE deportation and removal officers, Janice Kephart, director of national security policy at the Center for Immigration Studies, wrote for the Washington Times. 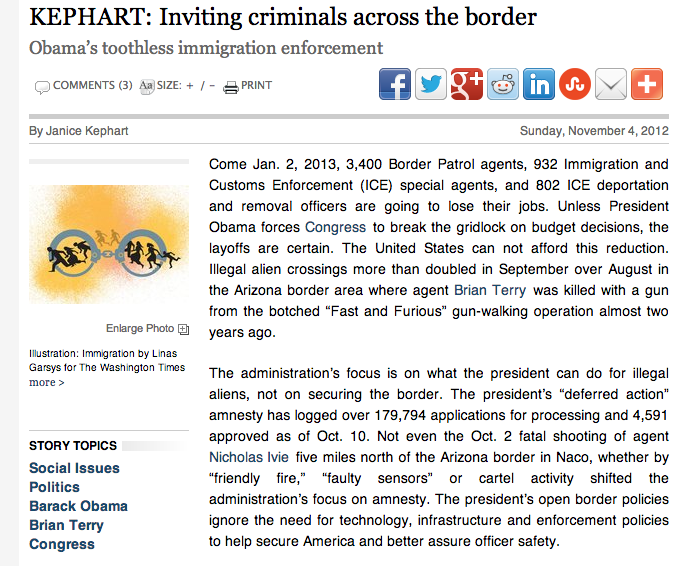 Kephart blames the Obama administration on focusing on how to accommodate illegal immigrants instead of securing the border – a policy that could force the elimination of thousands of jobs. She urges the administration to end the Congressional deadlock and save the jobs. Posted: 11/5/12 at 8:38 AM under News Story.